Many of our skill-transfer and mentoring services are New Zealand Government funded. Choose from one of the links below for more information. Our main Point of Difference. We complete only the portion of your Export Operations you want and upskill you and your staff to develop the capability in house. Then we hand it back to you when you feel comfortable. Murray has had many years experience in international trade with a focus on perishable products. He is a licensed Customs Broker by trade and has qualifications in Commerce and International Marketing. Murray has actively marketed New Zealand products to Europe, Asia and North America as well as Australia and the Pacific. He was a Divisional General Manager of a large multinational forwarder and has been Shipping and Supply Chain Manager at two of New Zealand’s largest meat processor exporters. Murray is an associate member of CBAFF (Customs Brokers and Freight Forwarders Federation of NZ Inc.), Freight and Logistics Professionals, New Zealand Exporters Network Group and is past Executive Chairman of Export Hawke’s Bay. As an Export Mentor, Murray has spent many of his recent years advising and helping companies grow their Export capability. Murray has delivered 500+ Export training and Mentoring sessions to small and medium businesses (SME’s) throughout New Zealand and offshore. Murray also works with corporate clients such as Zespri International, Lowe Corporation, PanPac Industries, Furnware Ltd, ABB and many more. Call Murray on +6468758000 if you have a need for any assistance in International Trade. The trading world is at your fingertips! I am more than happy to help you out with your Export or Import endeavours and add value to your business processes. 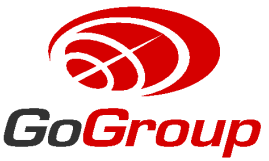 Unlike regular Freight Forwarders GoGroup will undertake only the solutions you require for your business. Our Cargowise system which can cater for all import and export process and documentary needs is cloud-based which gives us the flexibility to let your staff use our systems or apply our systems to your business without you needing to invest in expensive software leases and more specialist trained staff. International Trade is all about eBusiness - ensuring your goods and documentation get to your end Customer fast and correct. We can provide you with the tools to ensure you lead your competition. GoGroup, through the GoEducate Foundation and The Export Academy train Exporters on a regular basis throughout New Zealand and offshore. Whilst we present set modules like INCOTERMS, Free Trade Agreement Overview and Compliance, we can also tailor in-house courses for your busi-ness to address problems or areas in you wish to target improvement. You wish to study about exporting, learn specific skills or have one-on-one mentoring. You have perishable products requiring specialist care in an international sale and need a cool chain expert. 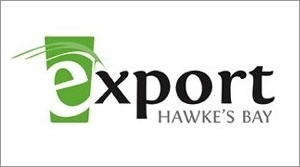 Join the region's export blog. Icon made by Freepik from www.flaticon.com is licensed under CC BY 3.0.